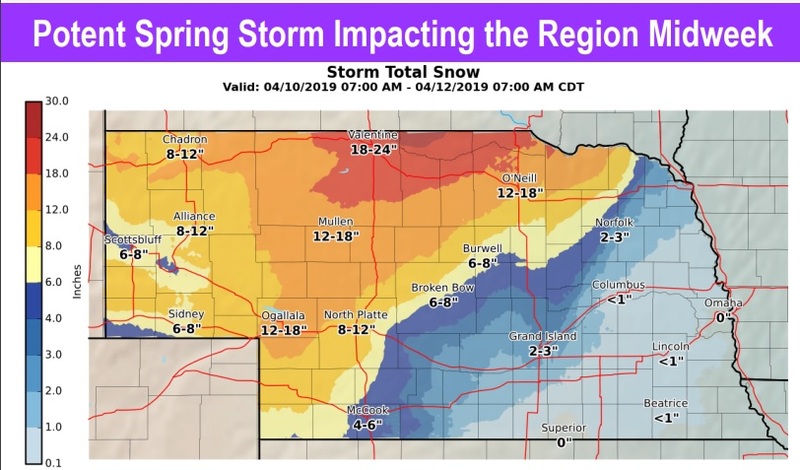 Impacts include: heavy accumulating snow, whiteout conditions from falling and blowing snow, travel that could be very difficult to extremely dangerous, and conditions dangerous to livestock. 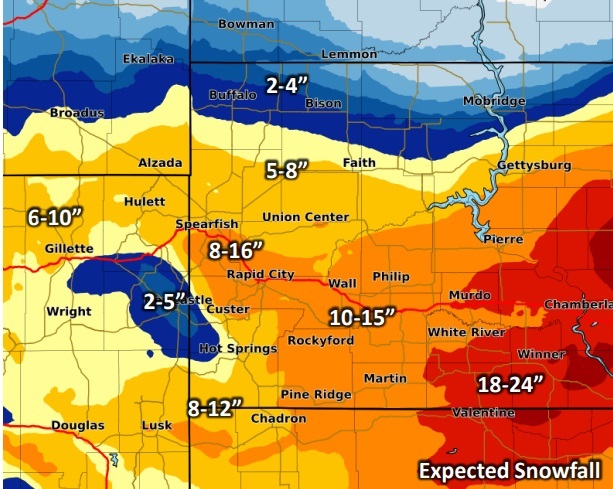 This storm system will bring moderate to heavy snow, strong winds as high as high as 60 mph, blowing snow with low visibilities, light ice accumulations, and much colder air. * WHAT…Blizzard conditions are likely with total snow accumulations of 10 to 23 inches and ice accumulations of a light glaze. Winds will gust as high as 60 mph. * ADDITIONAL DETAILS…Travel could be very difficult to impossible. Blowing snow will significantly reduce visibility. The hazardous conditions could impact the morning or evening commute. Gusty winds could bring down tree branches.